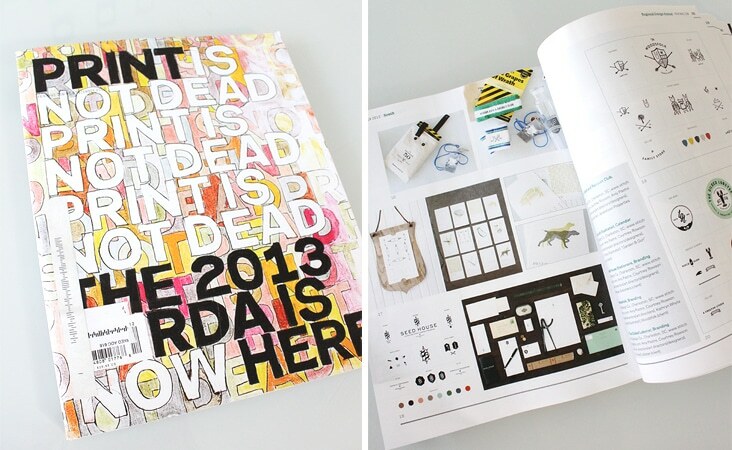 Proud and excited to have our work for Edmund’s Oast included in the integrated branding section of the 2014 Design Annual. 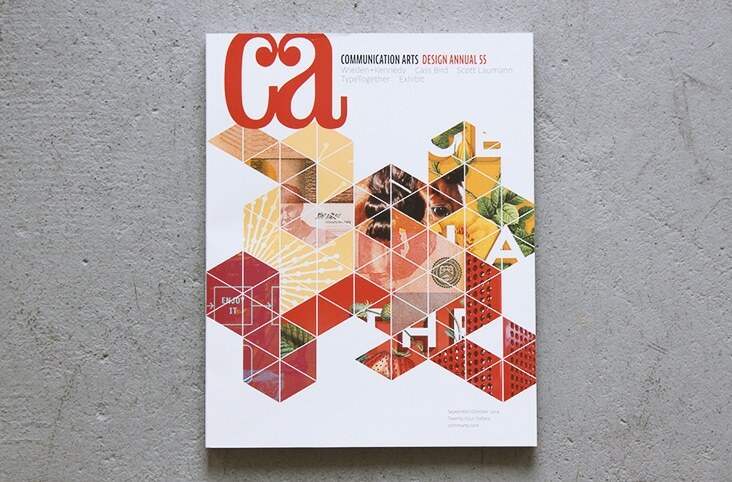 Congratulations Edmund’s Oast and thank you to Communication Arts! See the work here, here, here and here. Comments Closed Tags: Communication Arts, Edmund's Oast, Integrated Branding, Stitch Design Co.
2 Comments > Tags: Job Opening, Project Coordinator, Stitch Design Co. 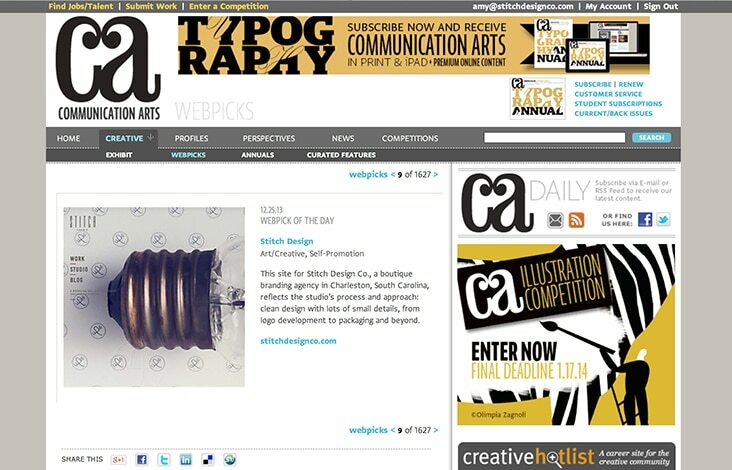 Especially excited to see our new Stitch Design Co. website featured on Communication Arts as Webpick of the day. Thank you CA! 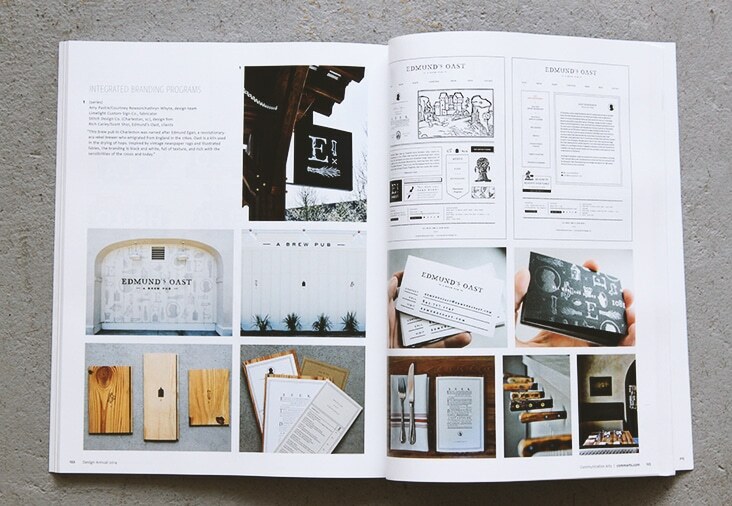 Congratulations to Coastal Crust, The Fresh Market, King Bean, Lowcountry Field Feast, Rewined Candles, Nonnavita, Finicky Filly, Craft Hair, Mandarin Oriental, Hobnob, The Woodsfolk, Garnish & Gather, Legends Magazine and Sideshow Press for being included in this year’s AIGA Inshow. 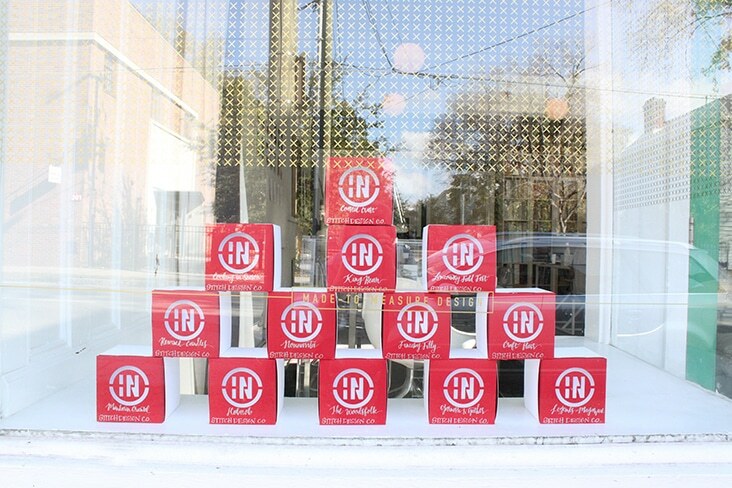 We were thrilled to have so many “in”! 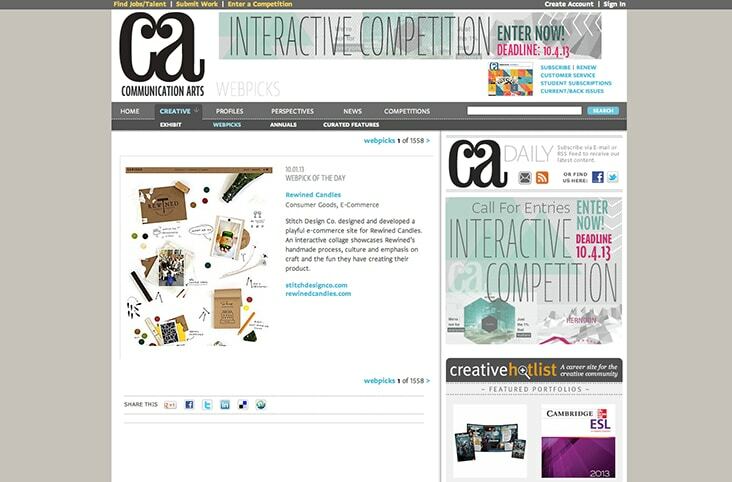 Thank you to Communication Arts for featuring Rewined Candles on the Webpick of the Day today!